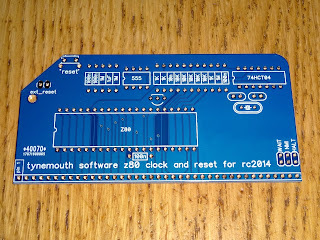 This is the first of several modules I will be producing for the RC2014 modular computer system. 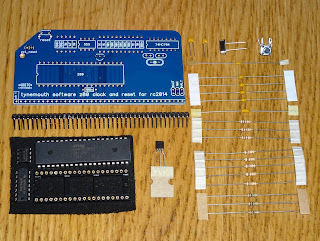 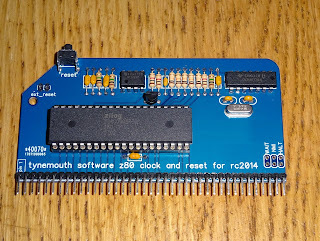 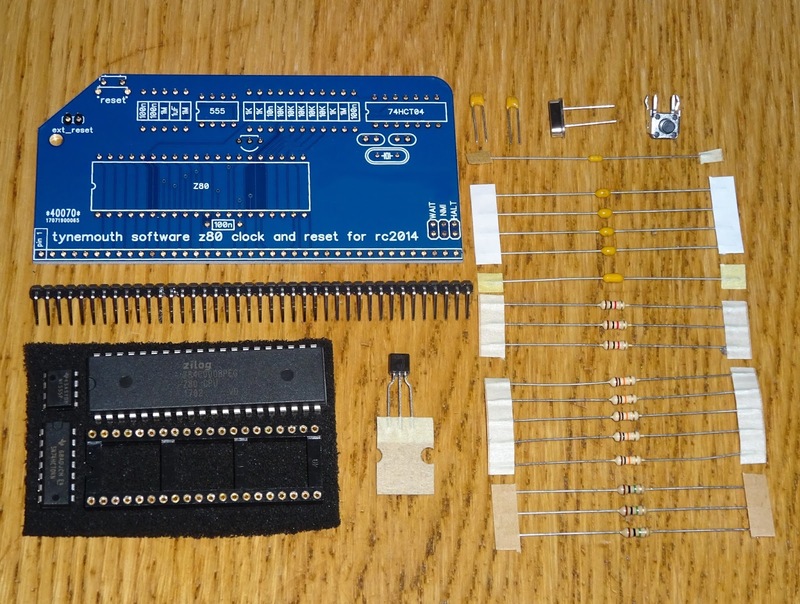 This board contains the Z80 CPU, clock and reset circuitry, meaning you can replace the original CPU and Clock/Reset boards with a single board, handy if you're running out of space. 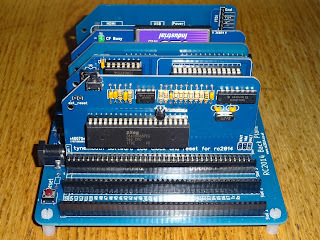 Most of the pins of the CPU are connected directly to the RC2014 bus connector. 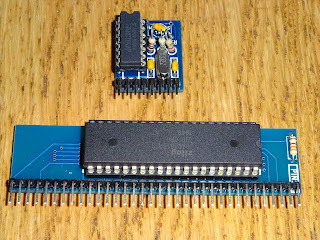 The input lines (INT, HALT, WAIT, NMI and BUSRQ) are pulled high via 10K resistors. 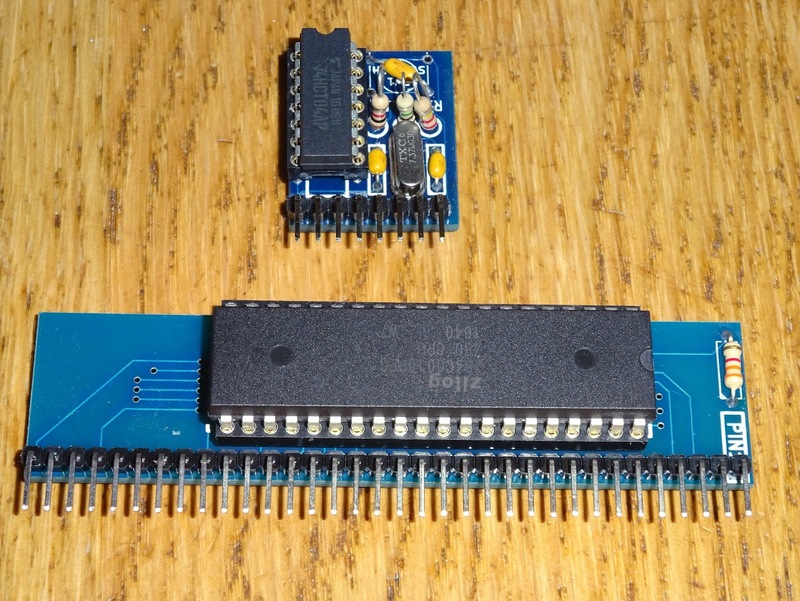 HALT, WAIT and NMI are not part of the normal RC2014 bus, but can be jumpered to three of the spare pins if required. 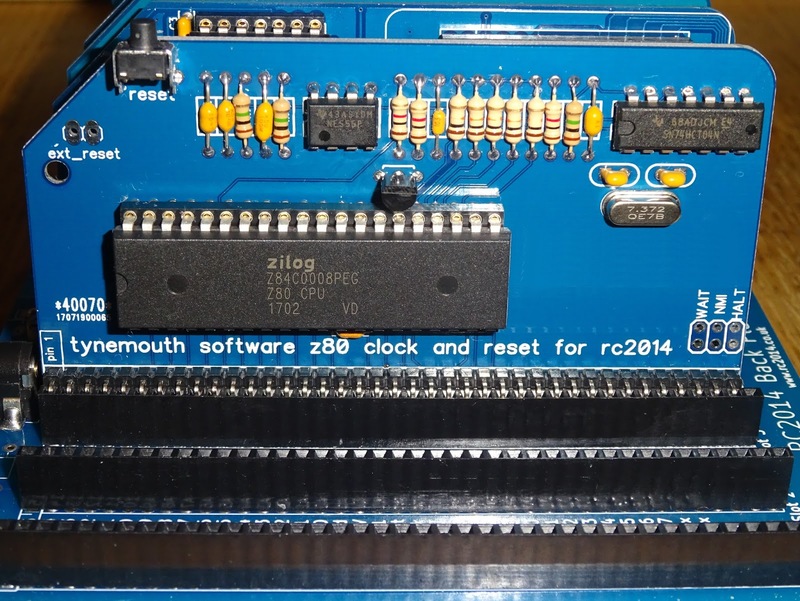 The reset circuit is based on that used in many 1980s computers, and uses a 555 timer to generate a clean reset pulse at power on and when the onboard reset button is pressed. 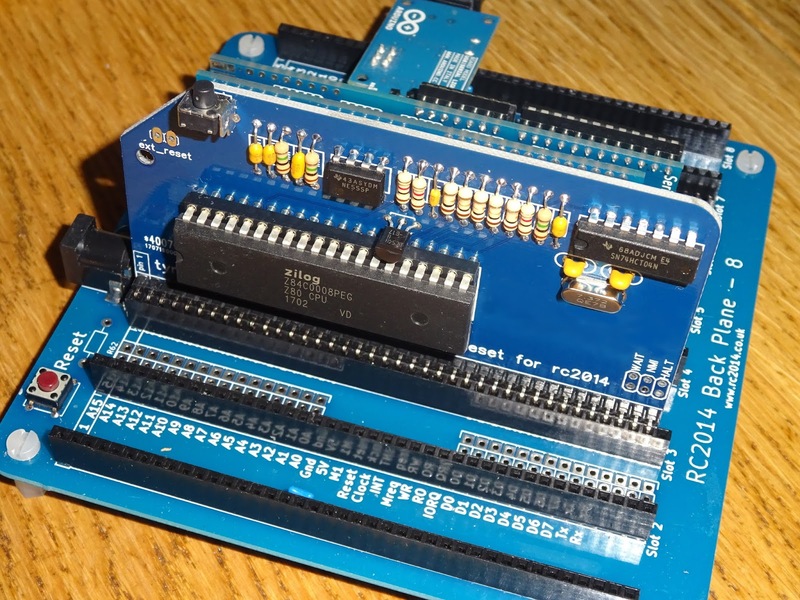 The reset line is driven via a transistor so that it can be pulled low by other devices on the RC2014 bus is required. 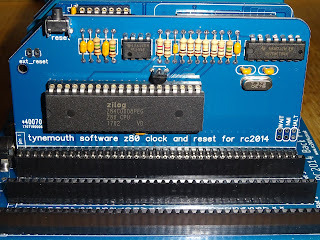 The clock is a standard 74HCT04 clock circuit, with separately buffered outputs for the Z80 CPU and the rest of the bus. 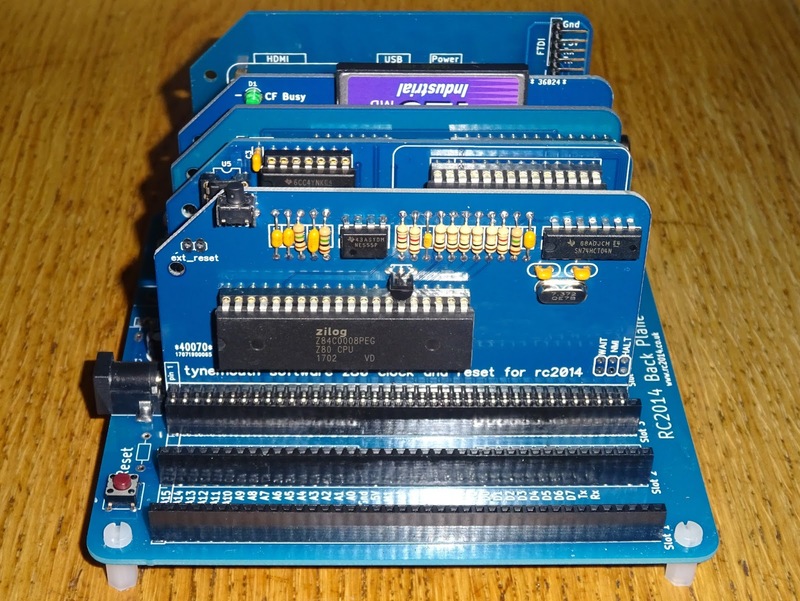 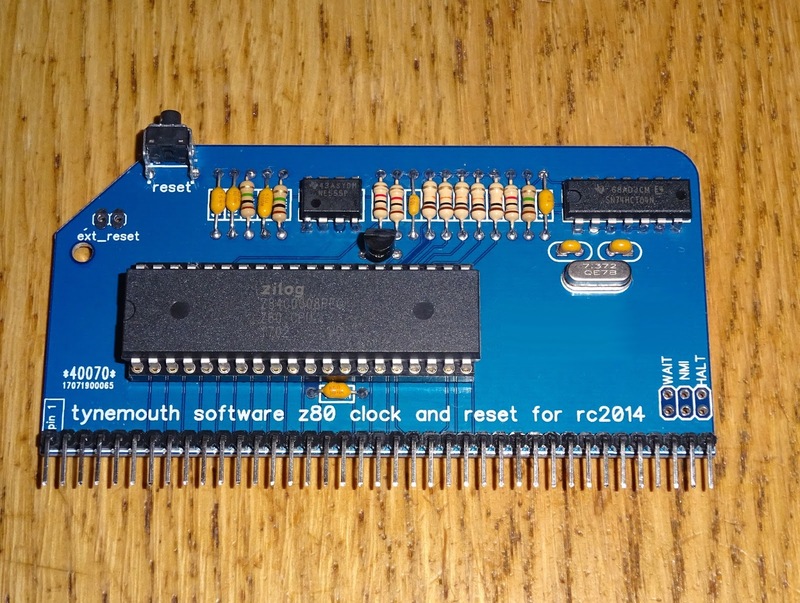 The board is the same size and shape as other new RC2014 modules, so sits nicely in an ever expanding system. 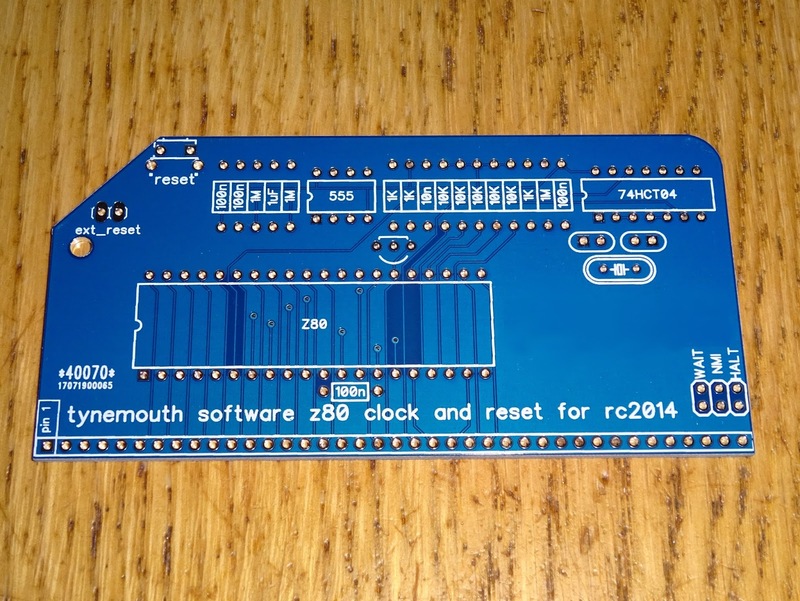 The Z80 CPU, Clock and Reset module is available as a bare PCB, a kit and as assembled and tested units. 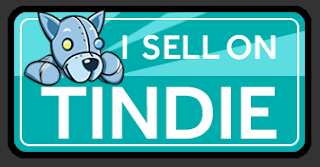 All available from my Tindie store.